A few years back, (more than a few – but I’m not willing to admit that yet) I was a student at a college in the midwest, where we had this group that I sang in called the University Chorale. It was a great experience, one that I remember fondly to this day. Singing in that choir gave me some of my best musical experiences, it also gave me some friendships that continue to this day. Trevor of the Lift Worship Band was in that chorale at the same time as me. We got to know each other a little, but unfortunately not as much as I would have liked. 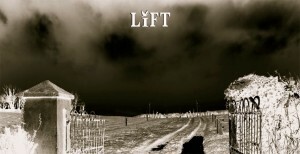 Regardless of all that, I’m pleased to announce to you the release of self-entitled Debut album by The LiFT Worship Band. I have listened to every song on this album, and I have no reservations in recommending this to you as a resource for your worship ministry. Even more than that, I would highly recommend this album for your student ministry. And even more than that, I would suggest you get in touch with the LiFT worship band and start talking to them about coming to your church to lead your church or your student ministry in a time of worship. Buy the album, teach the songs to your people, then have them come for a worship experience I’m sure you’ll not forget for some time. You can head over to their website to listen to recordings of all the songs, you can download .pdfs of the songs to use them in your church. I asked Trevor to tell the stories behind the songs on the ablum. I’d strongly recommend you read these stories. As you do, I think you’ll notice the same thing that I did, authenticity. The stories behind the songs are real, they are authentic. This authenticity carries over to the album, as you’ll hear when you buy the album and listen to the songs over and over. Upside Down: The song started with Tony Cipriano bringing the intro riff to rehearsal and we jammed on it for a while. That rehearsal generated a lot of ideas, and Brandon Gollwitzer added the bridge and verse sections while working on an arrangement for the different parts. Gary Bianchi plays the most insane and incredible drum patterns that absolutely take it to another level musically and create a huge energy during the song. Musically it came together in a few rehearsals, and I finished it off with lyrics that would support the theme of our student ministry for the year. This year’s theme is “Flip” and the concept is flipping our mindset of the world upside down and wholeheartedly following Christ. The theme is kept a secret and finally unveiled at our Fall Retreat. It is our largest annual event and kicks off the whole student ministry year. This was the event where we officially released the CD. The students are loving it so far. Mercy: Brandon Gollwitzer wrote all the music for this song, and then he and I collaborated on the lyrics. This song is a response to the call of Micah 6:8; to act justly, love mercy and walk humbly. It is about the actions that follow the call. This winter we have the privilege to lead worship for Love/Mercy 09 in Baltimore, MD which is the regional Wesleyan Youth Convention for the North-Eastern US, and Micah 6:8 is the theme of that event. We are hoping students at the convention embrace this song as passionately as the students here have done. Rise Up: The music and lyrics for this song were written by Brandon Gollwitzer. He woke one Saturday morning and the song came pouring out; totally a God thing. The bridge of this song was actually written in the middle of the night in a dark hotel room. It is amazing where and when God speaks. The song is a call from our hearts for God to overwhelm us with his glory, and shine his light out to a broken world. Brandon brought this song to the band, and it came together very fast as God was clearly in every aspect of it. This song proves to be extremely easy to learn during worship services and students and adults seem to really enjoy it. You Are: I had the privilege of being the one God chose to write this song. This is one of those songs that sort of fell out. I barely even remember writing it. I just sort of happened. I think I came up with a chord progression and the words and melody just fell out. You know a song is straight from God when that happens. This is one of my personal favorite songs as I feel it is very powerful and hits a lot of people right where they are. Brandon Gollwitzer wrote a tag for this song that we do live, but we left it off of the album due to the length. When we do the song live we add the tag, and the extended time of worship allows us to ask God to be lifted high in our lives. My favorite part of this song is the bridge, and how musically it explodes into a solo played by Brandon. It is amazing to hear how the instrumentalists in the band are all clearly worshipping through their instruments. This is one of those divine moments for me on the album. Lift: This song is the first song we ever wrote as a band. It actually was finalized about 4 years ago at our Fall Retreat. It was the first moment we realized as a band, “Hey we can write music!” I had come up with the music and lyrics for the song, but it really came to life with the band when Brandon wrote the intro guitar riff which instantly became the musical hook for the song. The lyrics were written and inspired by our students. At that time they were not very inspired worshippers. Getting them to clap their hands or show any sort of consciousness was extremely difficult. I wrote this song hoping the students would gain some identity in the original music, and start to be able to express themselves a little more during worship. God worked through it, using that song and some Hillsong United covers, to be the catalyst to bring the students to a place where they are now much more comfortable in a corporate worship environment, and much more expressive. This song, being our first, has been played a lot in our student services and I think they may be getting a little tired of it. So it’s funny that now the rest of the world is hearing it for the very first time now with the release of our album. Have Your Way: This was the second song we wrote. It is another one that just fell out. I came up with the music and lyrics on this one as well, but it was clearly ALL God. It came way too easy and as I look back at the lyrics, I think to myself, “I could have never come up with that on my own.” The band really brought this song to life. Matt Mackiewicz came up with an incredible, melodic bass lead over the verses that sits well with the counterpoint of Brandon Gollwitzer’s tremolo effected arpeggios. Tony Cipriano plays some phenomenal, bluesy leads in the spaces of the lyrics. It turned out incredible. This is a great song to sing when dealing with surrender and calling out to God to be used by Him. Break Me: Wow, this song turned into something none of us expected. It was written in England by me and BMX rider from Enemy Opposition, Brandon Rizzo. (Enemy Opposition is a skate park ministry I run out of Buffalo, NY. That’s a whole other story) Brandon and I were up on a hill in the countryside of England, just outside Stratford-upon-Avon, sitting under a wooden cross. The mental picture is almost too perfect. We were playing through chord progressions and reading the Psalms. We landed on Psalm 88, which is where this song came from. We came up with this pretty quick as God was clearly with us. That was about 2 years ago, and it pretty much sat in the “vault” until we started recording the album. The band thought it would be great to have an acoustic song on the album, maybe even to end with.. So that’s what it started out as. Then we decided to add some ambient guitar sounds, which is Brandon Gollwitzer using a variety of delays and the occasional e-bow. Matt Mackiewicz added some harmonics on bass, and the song really came alive when we brought in cellist Dave Meyer as a guest musician. I’m so excited how God brought this song to where it is now. Since the release of the album this song has been used many times for “alter call” moments. It is really incredible to think of how many lives have been changed for eternity with this song playing in the back of their minds. Carry Me: This song has turned out to be one of the most powerful songs on the album. It was written, music and lyrics, by Brandon Gollwitzer, and is based on the lonely moment of clarity when we each recognize our inability to meet our deepest needs and call out to God. With the simple and intimate image of Jesus carrying us through the most extreme moment of life, this song speaks to the lost and the hurting in an amazing way. At the same time, it reaches out to embrace those who may just be going through smaller issues that feel insurmountable. This song allows the worshipper to find solace in the fact that Christ is there, carrying them through it all, whatever it may be. I love how God brought this song together in the studio to be such an evocative moment. Stronger: Tony Cipriano wrote the music to this song, which lends itself to an incredible groove. It generated an instant chemistry, and we recorded an instrumental demo to capture the moment. Megan Gollwitzer, Brandon’s wife, heard the demo and was moved to write the chorus. I later added the verses. It came together great and the instrumental sections lead to incredible moments of reflective worship. It is awesome to hear Tony worship through his instrument as he solos over the instrumentals sections. This song praises the amazing dichotomy of how big our God is, and yet how personal and loving He is as well. When we play this song live, we often tag the chorus of Hillsong United’s Mighty to Save onto the end. It creates an intense time of worship. At Your Hands: Wow this song has some history. Brandon Gollwitzer came to us with this song about 2 years ago while we while we were going through some transitions as a band and it never really took off. It has a subtle 2 beat pickup at the start of each line in the chorus that makes the song both interesting and challenging. At the time, Brandon was the only one that seemed to be able to feel where it was going. All the guys in the band still joke that this is “the toothpick song” because it was so hard to get the feel for it that it had to be written by Rainman (like the movie “Rainman” where a box of toothpicks falls and he instantly counts the number of toothpicks on the floor). I was skeptical on how the song would relate to students, and if it would be too confusing to follow and sing along with. After being sidelined for two years, we revisited it a few months before heading into the studio. It finally clicked with everyone, and just fell into place. God kept this song on Brandon’s heart, and through all of our doubts, He made it successful. Now this song is actually one of the favorite songs of the students. It’s amazing how God works. Back to Life: The music for this song was written by Matt Mackiewicz. We used it as an instrumental for a while for the theme song at one of our High School programs before adding the lyrics. The words were a collaboration between Matt, Brandon Gollwitzer and myself. They deal with the feelings we encounter in the darkest hours of our life and the desperation that accompanies our sinfulness. The tone of this song does not translate very strongly to corporate worship. So we tend to use this song in performance situations like a special or a walk-in song. As a band we have made a conscious decision to focus on leading worship over performance, so we don’t get to play it too often. However the song rocks pretty hard and is a favorite among several students. This song always brings an awesome energy into the room, and on the album it turned out great.